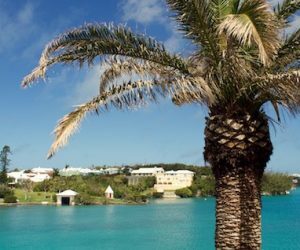 British Airways offers a direct flight to L.F Wade International Airport Bermuda from London Gatwick once a day during travel season. The service reduces to 5 days a week during the winter months (there is no flight on Saturdays and Mondays during the off season). The flight duration is just over 7 hours, landing in the early evening in Bermuda. The return journey is overnight, departing Bermuda in the evening arriving back in to Gatwick early the following morning. The British Airways direct flight costs on average between £750 and £850 for a return economy flight. During peak season this cost can sometimes be higher, but we would strongly suggest you plan ahead and take advantage of the annual British Airways sale (normally in January) where great deals can be had on their flights to Bermuda. You can also fly indirect via the east coast of the US – this isn’t necessarily a less expensive option, unless there are special deals, but works well if you want to tie in a weekend city break before or after your Bermuda holiday. There are daily direct flights from several airports such as NYC and Miami, and again it is worth looking out for any special deals or flight sales with airlines such as Delta or American Airlines.